It's happened again. The silk blouse you bought at the 50%-off sale and dropped at Speed Clean last Thursday came back resembling a surrender flag from the Spanish American War. You're fuming. Should you sigh and absorb another hit to pocketbook and pride? No. 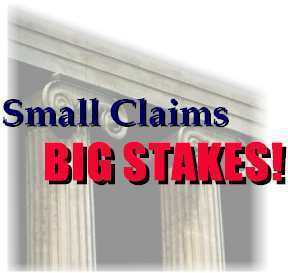 It's time to fight back ... in Small Claims Court. Ms. Lisante is a Fairfax County, Va., attorney who writes frequently about legal and consumer issues.